Since two resolutions urging the US Department of Commerce and the National Oceanic and Atmospheric Administration (NOAA) to retain the Southeast Fisheries Science Center on Virginia Key have been adopted, no official decision has yet been made about the facility’s location. NOAA has been considering moving the facility to St. Petersburg. The building on Virginia Key is reportedly out of date, leaves little room for expansion, and faces an increasing threat from rising sea levels. John Ewald, NOAA public affairs specialist, said in a statement that the administration has completed a facilities strategic plan and a feasibility study. With the information gathered, it is now working on understanding what would be needed in a new facility, he said. “NOAA Fisheries’ Southeast Fisheries Science Center, located in Miami, Florida, is an aging facility,” the statement read. “Planning ahead for a suitable marine science facility is essential to achieving the agency’s vision for world class excellence in science. “As part of that planning, NOAA Fisheries completed a facilities strategic plan for the Science Center in 2015. That plan prioritized recapitalization of the Miami Laboratory. We also completed a feasibility study in 2016 exploring various options for this facility. We are now collecting requirements to better understand the size and capabilities needed in a new facility. Those requirements are independent of future location,” the statement read. Despite their research, officials have yet to decide whether to move the facility to the state’s West Coast. “We are still early in the process and have not made any decision about the location of the facility,” the statement read. NOAA collaborates with the University of Miami Rosenstiel School of Marine and Atmospheric Science, as well as many other institutions in South Florida. The resolutions, one sponsored by the Town of Surfside and the other by Village of Key Biscayne, discussed how moving the facility would affect the research and teaching at the institutions, although Mr. Ewald stated that in the event of a move, the relationship between NOAA and UM would stay the same. “Regardless of where the facility is ultimately located, NOAA Fisheries will continue working to provide the best science possible for our Southeast US and international natural resources that fall under its purview, including maintaining our strong partnerships with the University of Miami,” the statement read. 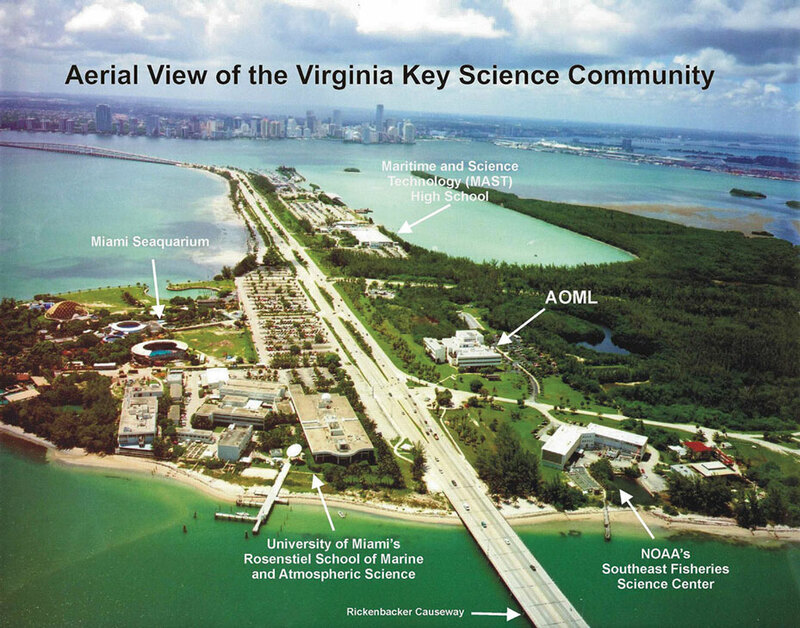 In an article released by the University of Miami, Roni Avissar, dean of the Rosenstiel School, said he would like the facility to remain of Virginia Key in order to continue the 40-year relationship between the school and the NOAA.